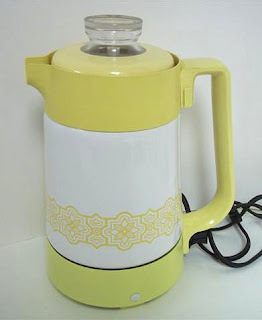 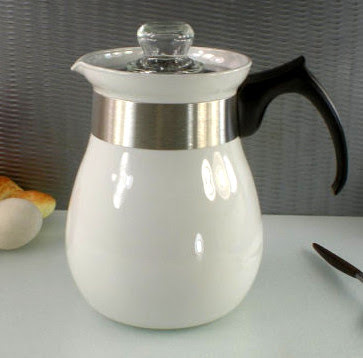 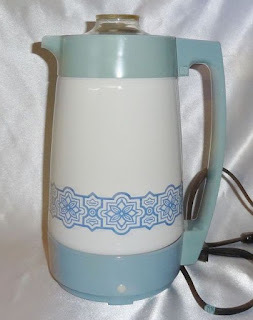 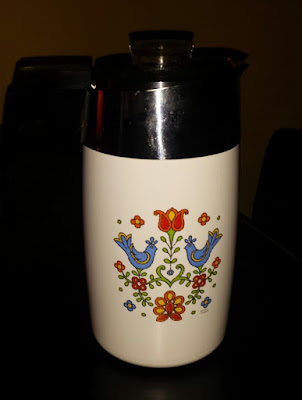 It appears that the Separation Anxiety Post regarding the 2 Corning Percolator recalls has caused some confusion; SO, I am taking a different angle with this Percolator page and posting pictures of the SAFE (non-recalled) percolators. 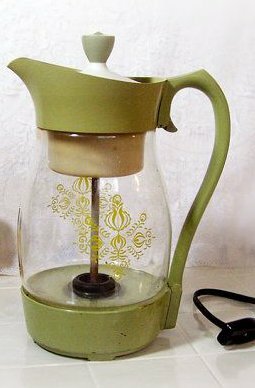 What it boils down to is this..... 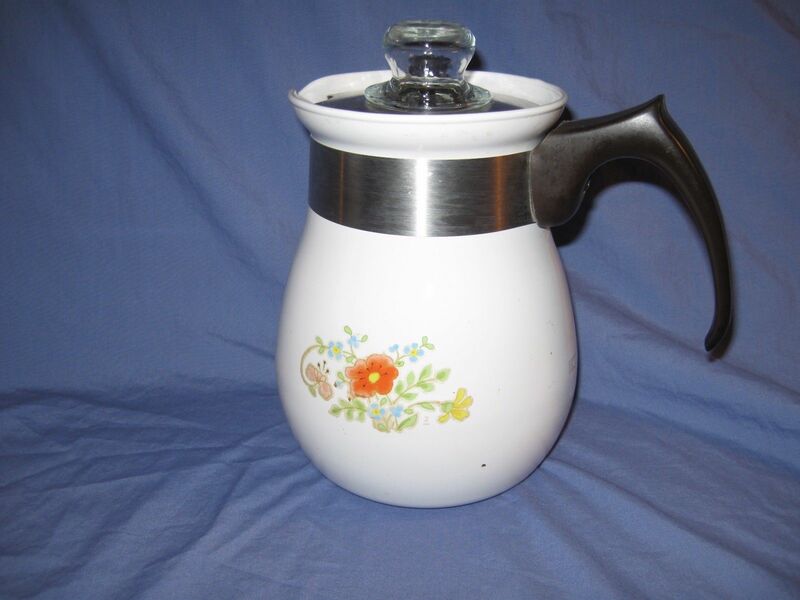 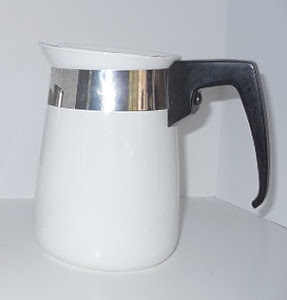 If your percolator is NOT on this page, it is a recalled model. It does not matter whether it is a stove top or an Electromatic model. I urge you to notice how these SAFE Stove top percolators are designed. They ALL have metal straps below a pyroceram spout. 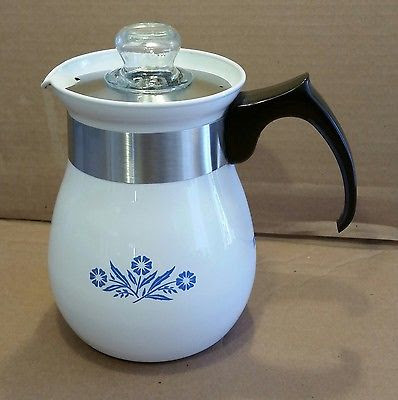 If, AND ONLY IF the 3 digit code is etched into the stainless steel band..
Other patterns in this model, such as Floral Bouquet, Just White, & Pheasants, are more than likely recalls because they were produced BEFORE the change was made in how the Stainless Steel spout was attached in 1976. 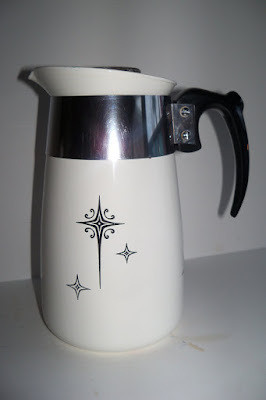 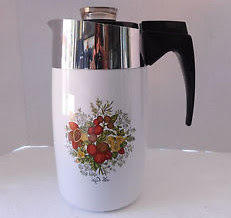 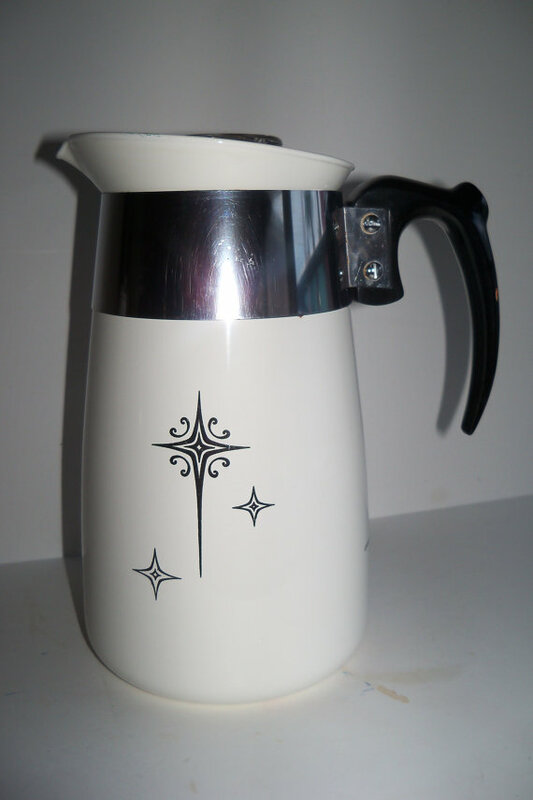 Again, if your percolator is not included in these images (both model and pattern), then it has been recalled.